Do you love travel, music and poetry? (Or want to start exploring?) Motojojo Gatherings brings all three under one roof for an evening of fun and frolic. Motojojo literally means the unknown. 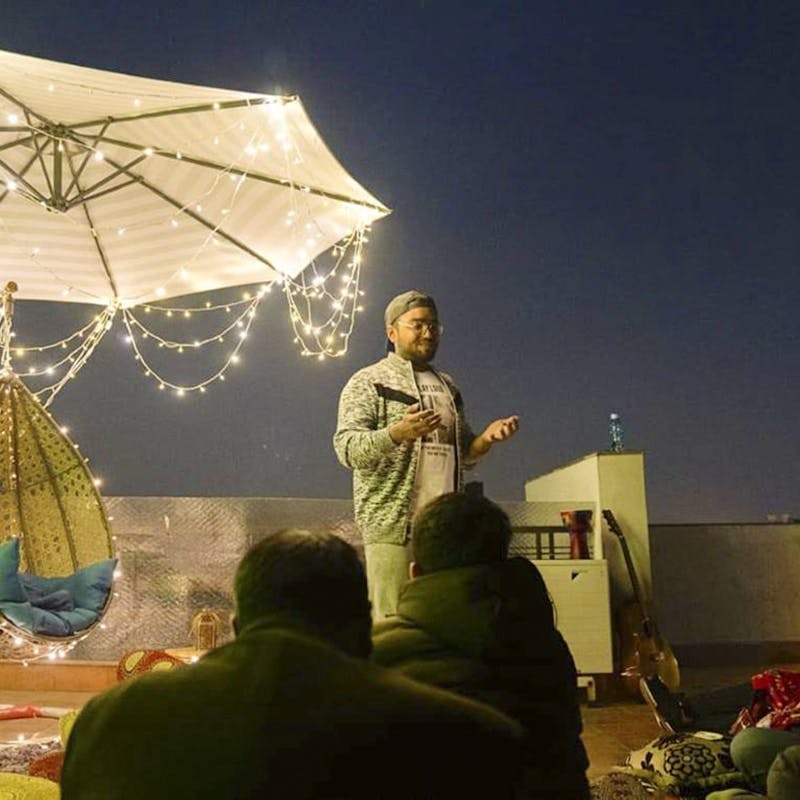 With the intent of exploring the unknown and feeding the curiosity of folks who want to dig through the city’s culture, Motojojo brings together a community of different people to listen to travellers, storytellers and musicians. It’s a great way to spend the weekend instead of dealing with a hangover from that party you were dragged to. For those trying to make a career in the creative industry, Motojojo pays its performers as a way of financially supporting the arts. It’s also a thoughtful way to expose the audience to different genres of local music and art in the city. While the musicians are usually singer-songwriters who compose their own music and lyrics, the travellers are globetrotters with inspiring stories from their time backpacking. So if you’re a creative, you could partake in these events to make some side money and reveal your talents (you never know when a door opens). Charging INR 350 per person for their events, the evening lasts about three hours where you can strike up friendship and conversation (and maybe get someone’s number..if you know what we mean). Motojojo hosts events at people's houses to create an environment of comfort and well..homeliness. Their next editions in Bangalore are on April 7 and 24 so make sure to RSVP before they run out of tickets. On certain occasions their events allow for potluck and BYOB, so follow their social media to know when.